“ Liberty may be endangered by the abuse of liberty, but also by the abuse of power. “ If men were angles, no goverment would be necessary. “ The truth is that all men having power ought to be mistrusted. 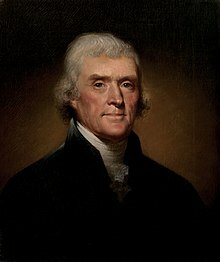 “ In Republics, the great danger is, that the majority may not sufficiently respect the rights of the minority. ^ Kane, Joseph. Facts About the Presidents. H.W. Wilson. 2001: 590. ^ 9.0 9.1 The Life of James Madison. James Madison's Montpelier. [21 October 2017]. ^ Boyd-Rush, Dorothy. Molding a founding father. Montpelier. [March 25, 2013]. ^ The Life of James Madison. The Montpelier Foundation. [February 14, 2017]. ^ Mills, W. Jay. Historic Houses of New Jersey. GET NJ. 2002 [February 14, 2017]. ^ Brennan, Daniel. Did James Madison suffer a nervous collapse due to the intensity of his studies?. Princeton University, Mudd Manuscript Library Blog. [February 14, 2017]. ^ Terence Ball. James Madison. Taylor & Francis. 2017: 45–46. ^ 24.0 24.1 Stagg, J.A. (编). 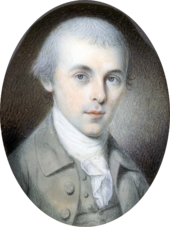 James Madison: Life Before the Presidency. Univ. of Virginia Miller Center. [February 14, 2017]. ^ 57.0 57.1 Wood 2011. ^ Rossiter, Clinton (编). The Federalist Papers. Penguin Putnam, Inc. 1961: ix, xiii. ^ 71.0 71.1 Wills 2002. ^ A Century of Lawmaking for a New Nation: U.S. Congressional Documents and Debates, 1774–1875, Annals of Congress, House of Representatives, 1st Congress, 1st Session. The Library of Congress. [August 7, 2012]. ^ Adamson, Barry. Freedom of Religion, the First Amendment, and the Supreme Court: How the Court Flunked History. Pelican Publishing. 2008: 93 [February 16, 2017]. ISBN 9781455604586. ^ Graham, John Remington. Free, Sovereign, and Independent States: The Intended Meaning of the American Constitution. Pelican Publishing. 2009: 193–94 [February 16, 2017]. ISBN 9781455604579. 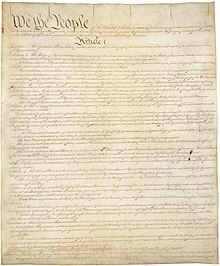 ^ The Charters of Freedom: The Bill of Rights. National Archives and Records Administration. [February 16, 2017]. ^ Thomas, Kenneth R. (编). The Constitution of the United States of America: Analysis of Cases Decided by the Supreme Court of the U.S. (PDF). GPO: 49. 2013 [February 16, 2017]. ^ Varg, Paul A. Foreign Policies of the Founding Fathers. Michigan State Univ. Press. 1963: 74. ^ 92.0 92.1 Wills 2002. ^ 99.0 99.1 Chernow, Ron. Alexander Hamilton. Penguin. 2004: 571–74 [February 16, 2017]. ISBN 9780143034759. ^ Book of Members, American Academy of Arts and Sciences (PDF). American Academy of Arts and Sciences. [July 28, 2014]. 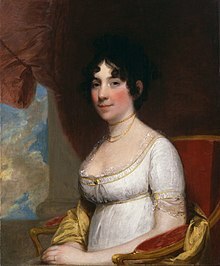 ^ Dolley Madison Biography :: National First Ladies' Library. www.firstladies.org. [2018-02-02] （英语）. ^ Taylor, Elizabeth Dowling. A Slave in the White House: Paul Jennings and the Madisons. Palgrave Macmillan. 2012. ^ Perkins, Bradford. Embargo: Alternative to War, in Essays on the Early Republic 1789–1815. Leonard Levy (Ed.). Dryden Press. 1974: 324. ^ McCullough, Noah. The Essential Book of Presidential Trivia. Random House Digital, Inc. 2006: 21 [February 14, 2017]. ISBN 9781400064823. ^ 140.0 140.1 140.2 Wills 2002. ^ 152.0 152.1 Rutland 1990. ^ Rowen, Bob, "American Privateers in the War of 1812," paper presented to the New York Military Affairs Symposium, Graduate Center of the City University of New York, 2001, revised for Web publication, 2006-08 <http://nymas.org/warof1812paper/paperrevised2006.html>, retrieved 6-6-11. ^ David Stephen Heidler; Jeanne T. Heidler. The War of 1812. 2002: 46. 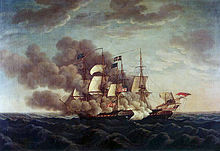 ^ Roosevelt, Theodore, The Naval War of 1812, pp. 147–52, The Modern Library, New York, NY. ^ Thomas Fleming, "Dolley Madison Saves The Day" Smithsonian 40#12 (2010): 50-56. ^ Piehler, G. Kurt (编). Benefits, Veteran. Encyclopedia of Military Science. SAGE Publications: 220. July 24, 2013 [February 20, 2016]. ISBN 9781452276328. ^ Banning, Lance (编). Liberty and Order: The First American Party Struggle. Liberty Fund. 2004. ^ Madison's Veto of the Bonus Bill, March 3, 1817. Constitution Society. [February 18, 2017]. ^ 187.0 187.1 Rutland 1990. ^ 188.0 188.1 188.2 188.3 Rutland 1990. ^ 189.0 189.1 The Life of James Madison. Montpelier Station, Virginia: James Madison’s Montpelier. [December 18, 2017]. ^ Hoffer, Peter Charles. The Brave New World: A History of Early America. Johns Hopkins Univ. Press. 2006: 363 [February 14, 2017]. ISBN 9780801884832. ^ James H. Hutson. Forgotten Features of the Founding: The Recovery of Religious Themes in the Early American Republic. Lexington Books. 2003: 156. ISBN 9780739105702. ^ Miroff, Bruce; 等. Debating Democracy: A Reader in American Politics. Cengage Learning. 2011: 149 [February 14, 2017]. ISBN 9780495913474. ^ Corbett, Michael. Politics and Religion in the United States. Routledge. 2013: 78 [February 14, 2017]. ISBN 9781135579753. ^ Madison, James. Detached Memoranda. Founders Constitution. 1817 [February 19, 2017]. Banning, Lance. Jefferson & Madison: Three Conversations from the Founding. Madison House. 1995. Banning, Lance. The Sacred Fire of Liberty: James Madison and the Founding of the Federal Republic. Cornell University Press. 1995. Bernstein, Richard B. Are We to be a Nation? ; The Making of the Constitution. Harvard Univ. Press. 1987. Burstein, Andrew; Isenberg, Nancy. Madison and Jefferson. Random House. 2010. Ketcham, Ralph. James Madison: A Biography. Univ. of Virginia Press. 1990. ISBN 9780813912653. , scholarly biography; paperback ed. Keysaar, Alexander. The Right to Vote. Basic Books. 2009. ISBN 0-465-02969-8. Labunski, Richard. James Madison and the Struggle for the Bill of Rights. Oxford Univ. Press. 2006. McCoy, Drew R. The Last of the Fathers: James Madison and the Republican Legacy. Cambridge University Press. 1989. Matthews, Richard K. If Men Were Angels : James Madison and the Heartless Empire of Reason. University Press of Kansas. 1995. Rosen, Gary. American Compact: James Madison and the Problem of Founding. University Press of Kansas. 1999. 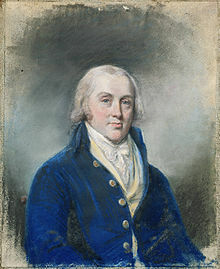 Rutland, Robert A. James Madison: The Founding Father. Macmillan Publishing Co. 1987. ISBN 978-0-02-927601-3. Rutland, Robert A. The Presidency of James Madison. Univ. Press of Kansas. 1990. ISBN 978-0700604654. scholarly overview of his two terms. Rutland, Robert A. (编). James Madison and the American Nation, 1751–1836: An Encyclopedia. Simon & Schuster. 1994. Stewart, David. The Summer of 1787: The Men Who Invented the Constitution. Simon and Schuster. 2007. Wills, Garry. James Madison. Times Books. 2002. ISBN 0-8050-6905-4. Short bio. Wood, Gordon S. The Idea of America: Reflections on the Birth of the United States. The Penguin Press. 2011. Broadwater, Jeff. James Madison: A Son of Virginia and a Founder of a Nation. University of North Carolina Press. 2012. Brookhiser, Richard. James Madison. Basic Books. 2011. Cheney, Lynne. James Madison: A Life Reconsidered. Viking. 2014. Gutzman, Kevin. James Madison and the Making of America. St. Martin's Press. 2012. Feldman, Noah. The Three Lives of James Madison: Genius, Partisan, President. Random House. 2017. Stewart, David O. Madison's Gift: Five Partnerships That Built America. Simon & Schuster. 2016. Rakove, Jack. James Madison and the Creation of the American Republic 2nd. Longman. 2002. Wills, Garry. 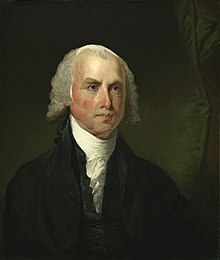 James Madison: The American Presidents Series: The 4th President, 1809–1817. Times Books. 2015. Bordewich, Fergus M. The First Congress: How James Madison, George Washington, and a Group of Extraordinary Men Invented the Government. Simon and Schuster. 2016. Dragu, Tiberiu; Fan, Xiaochen; Kuklinski, James. Designing checks and balances. Quarterly Journal of Political Science (Now Publishing Inc.). March 2014, 9 (1): 45–86. doi:10.1561/100.00013022. Elkins, Stanley M.; McKitrick, Eric. The Age of Federalism. Oxford University Press. 1995. Everdell, William. The End of Kings: A History of Republics and Republicans. Univ. of Chicago Press. 2000. Gabrielson, Teena. James Madison's Psychology of Public Opinion. Political Research Quarterly. September 2009, 62: 431–44. Harbert, Earl (编). Henry Adams: History of the United States during the Administrations of James Madison. Library of America. 1986. Kasper, Eric T. To Secure the Liberty of the People: James Madison's Bill of Rights and the Supreme Court's Interpretation. Northern Illinois University Press. 2010. Kernell, Samuel (编). 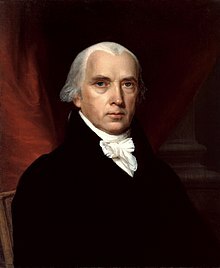 James Madison: the Theory and Practice of Republican Government. Stanford Univ. Press. 2003. Kester, Scott J. 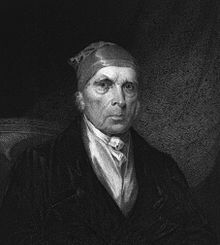 The Haunted Philosophe: James Madison, Republicanism, and Slavery. Lexington Books. 2008. Muñoz, Vincent Phillip. James Madison's Principle of Religious Liberty. American Political Science Review. February 2003, 97 (1): 17–32. Read, James H. Power Versus Liberty: Madison, Hamilton, Wilson and Jefferson. Univ. Press of Virginia. 2000. Riemer, Neal. James Madison: Creating the American Constitution. Congressional Quarterly. 1986. Scarberry, Mark S. John Leland and James Madison: Religious Influence on the Ratification of the Constitution and on the Proposal of the Bill of Rights. Penn State Law Review. April 2009, 113 (3): 733–800. Sheehan, Colleen A. The Politics of Public Opinion: James Madison's 'Notes on Government. William and Mary Quarterly. October 1992, 49 (3). Sheehan, Colleen. Madison and the French Enlightenment. William and Mary Quarterly. October 2002, 59 (4): 925–56. Sheehan, Colleen. Madison v. Hamilton: The Battle Over Republicanism and the Role of Public Opinion. American Political Science Review. August 2004, 98 (3): 405–24. Sheehan, Colleen. The Mind of James Madison: The Legacy of Classical Republicanism. Cambridge Univ. Press. 2015. Vile, John R.; Pederson, William D.; Williams, Frank J. (编). James Madison: Philosopher, Founder, and Statesman. Ohio Univ. Press. 2008. Weiner, Greg. Madison's Metronome: The Constitution, Majority Rule, and the Tempo of American Politics. Univ. Press of Kansas. 2012. 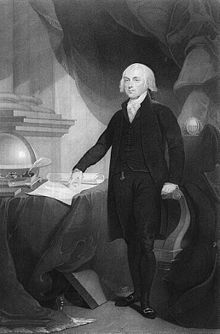 Will, George F. Alumni who changed America, and the world: #1 – James Madison 1771. Princeton Alumni Weekly. January 23, 2008. Wills, Garry. Henry Adams and the Making of America. Houghton Mifflin. 2005. Leibiger, Stuart (编). A Companion to James Madison and James Monroe. John Wiley and Sons. 2013. Wood, Gordon S. Is There a 'James Madison Problem'?. Penguin Press. 2006. Madison, James. Letters & Other Writings Of James Madison Fourth President Of The United States called the Congress edition. J.B. Lippincott & Co. 1865. Madison, James. Hunt, Gaillard, 编. The Writings of James Madison. G. P. Putnam's Sons. 1900–1910. Madison, James. Cooke, Jacob E., 编. The Federalist. Wesleyan Univ. Press. 1982. Madison, James. Notes of Debates in the Federal Convention of 1787 Reported by James Madison. W.W. Norton. 1987. Madison, James. Myers, Marvin, 编. Mind of the Founder: Sources of the Political Thought of James Madison. Univ. Press of New England. 1995. Madison, James. Smith, James M., 编. The Republic of Letters: The Correspondence Between Thomas Jefferson and James Madison, 1776–1826. W.W. Norton. 1995. Madison, James. Rakove, Jack N., 编. James Madison, Writings. Library of America. 1999. Richardson, James D. (编). A Compilation of the Messages and Papers of the Presidents, vol. xix. 1897. reprints his major messages and reports. Booknotes interview with William Lee Miller on The Business of May Next: James Madison and the Founding, June 14, 1992. Booknotes interview with Lance Banning on The Sacred Fire of Liberty: James Madison and the Founding of the Federal Republic, February 11, 1996.